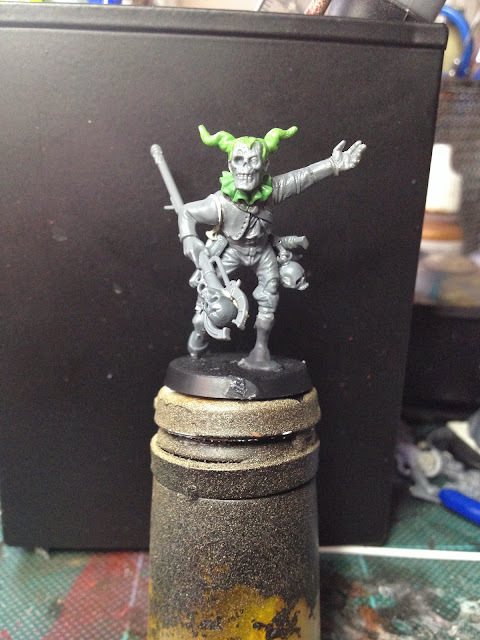 I gave our decomposing ringmaster a fools cap which works better than the weedy unihorn he had before. 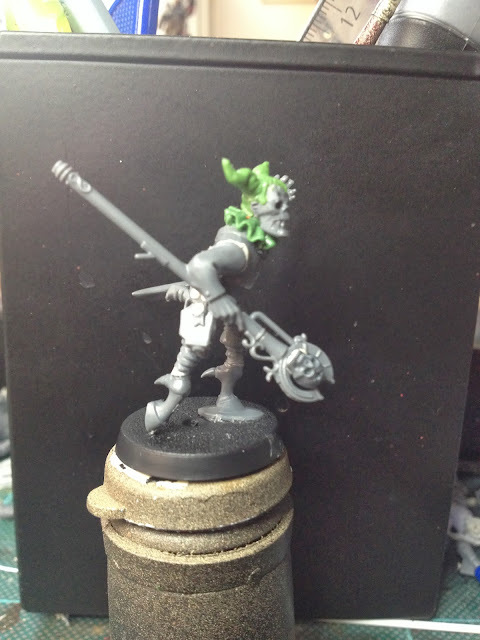 Also changed his ceremonial staff into something a little more elaborate. Wow. 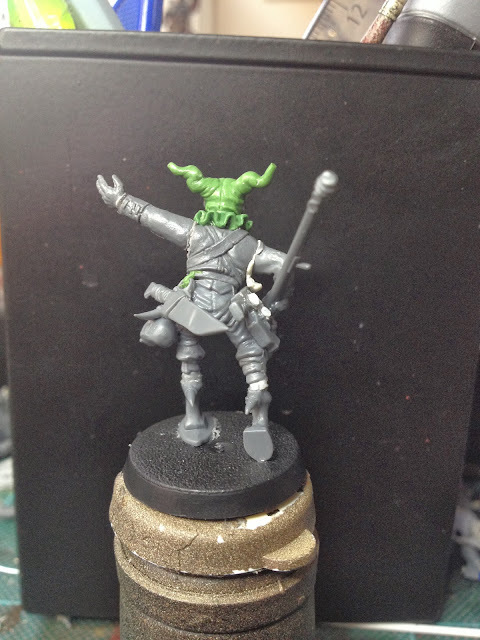 The bits you sculpted take the conversion to a whole new level, and once it is painted it will be hard to believe the fellow was put together from GW plastic parts. Well done, sir! Fantastic looking model! 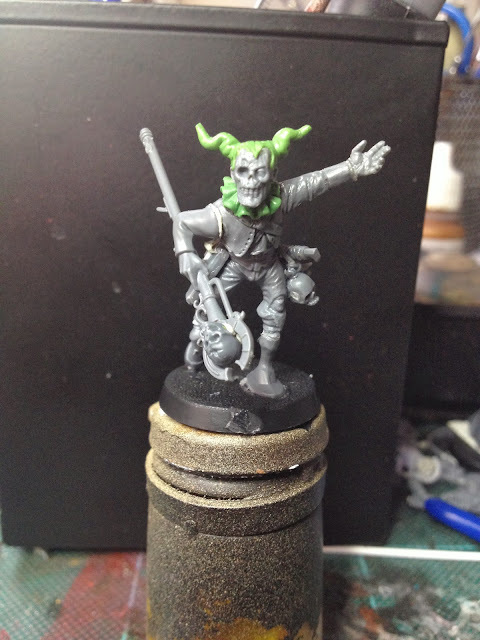 His jesters cap is a wonderful addition, really tying together the model. His awkward human/equine legs are great too! Yep, that cap just makes the whole piece pop! Great work. Thanks Dave! 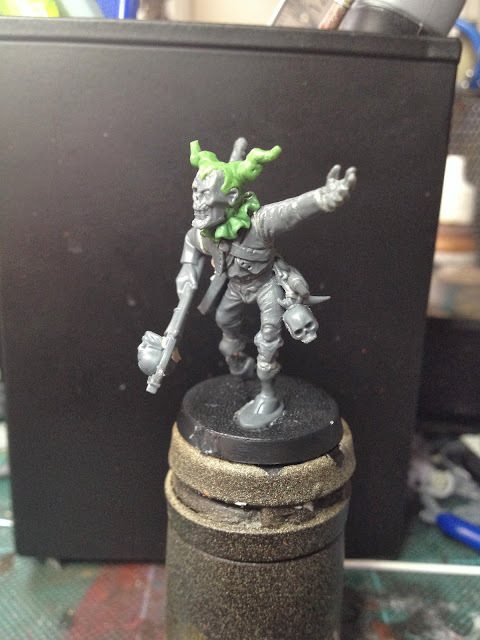 It took its time to pull off put I`m quite happy with the cap. love it dude! the staff and cap look amazing. You go right ahead! Love to see what you come up with! Fantastic sculpting on the head! If your still looking to add more details some ruffles on the sleaves or puffed out shoulders would be cool. Can't wait to see it painted. 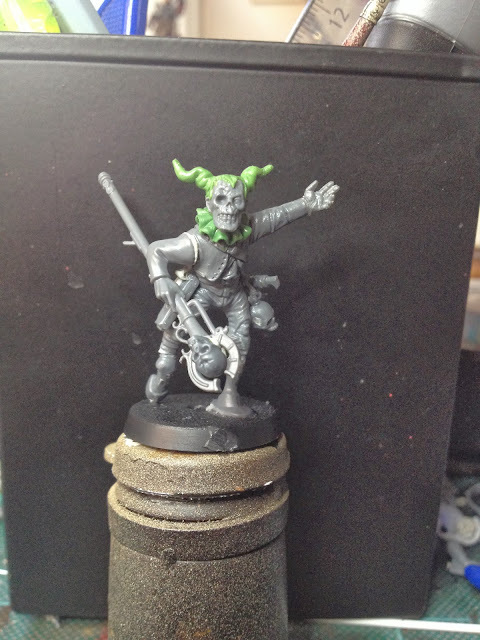 It's already being painted - ruffled sleeves will have to wait for the next one! Much better sir. The hat and repositioning of his right arm make the pose far more believable. Little bells on the ends of his hat-tails? Or would that be too much? The fools cap and ruffle are inspired mate - brilliant.